Good Luck with your new teams! While the team came home earlier than we would have liked all the girls came away with some great memories of this tournament. One of our highlights was Sam Martinez putting it Out of the Park for a Home Run! The summer season is complete and now it is time for some rest. A new Head Coach for next season brings some exciting changes for our program. A BIG THANK YOU to all our parents for their support of the team this season. See you all at tryouts! 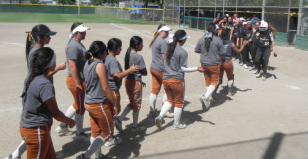 The girls played hard for this showcase and got a taste of the caliber of play they will be facing at PGF Nationals. 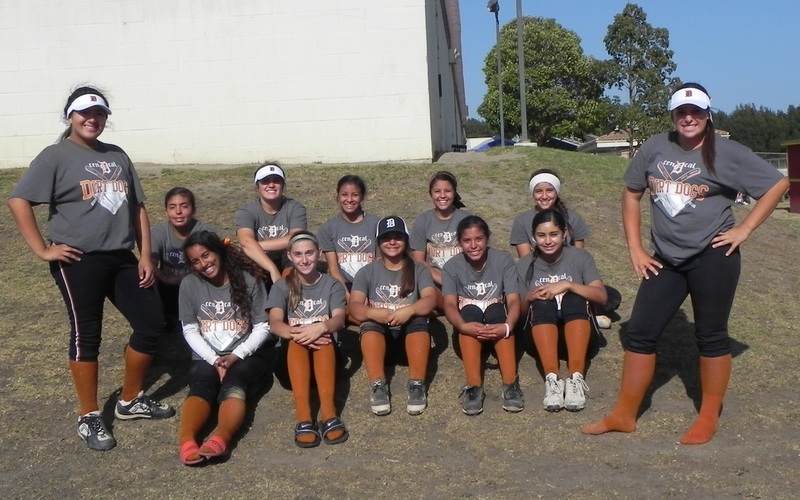 With a week of practice they have some refining to do before taking on the PGF teams. Here is to a week of hard practice and solid play for the next weekend. Three days and 5 games our ladies made it to the top twelve from a starting field of 48. 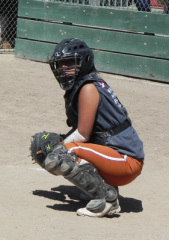 There were many highlights within the games a few are Camryn Monreal who finished her weekend with ﻿2 out of the park Home Runs. ﻿Megan Ambriz who caught every game in the heat in spite of being hit by a pitch that caused her leg to cramp and Emilee Lear who hit her first out of the park Home Run. Although we would have liked to finish higher it was a solid showing by our players. A strong start lead to a disappointing weekend for our ladies. A bright spot on the weekends play was Brayden Nunleys Out of the Park Home Run! 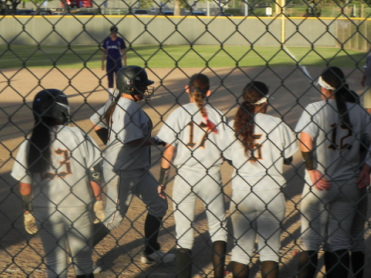 Camryn Monreal and Emilee Lear both logged stand up doubles with hits that bounced before going over the fence. Thank you to the Wallace Dirt Dog Team for organizing a camp and friendly at Buchanan. 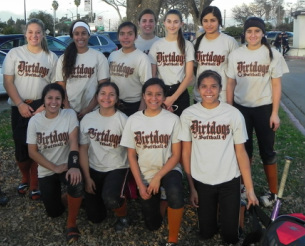 Our girls played three games on Saturday ending the day 2-1. The Dirt Dog orginization was well represented with teams from 18U down. Due to an injury our team was without a catcher for the weekend. A big Thank You to Cory Martinez for helping out for the weekend. You did a great job behind the plate. 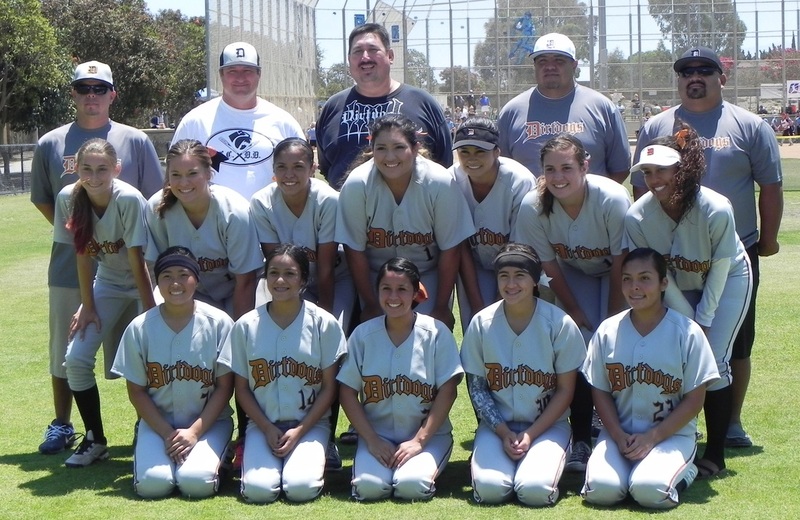 Breaking in our new uniforms the Dirtdogs played in the 16U division for this showcase. Although we came away with no wins we made a strong impressions on several recruiters and other team coaches. Loosing track of how many times I was asked "are these really 14U?" I was one proud parent. Playing girls in various positions gave the opportunity for people to see what we have. Our players were watched by several recrutiers including; Hawaii, Nebraska and Georgia Tech. The Dirtdogs began their tune up going 2-1 for the weekend in Oxynard. Finding the sweet spot for our players was the goal and many different variations on the field and batting order were played. Learning new signs and shaking off the rust from school ball all our players hit and played well. Let the Travel Season Begin! t-shirts equal lots of fun for our Dirtdog family! 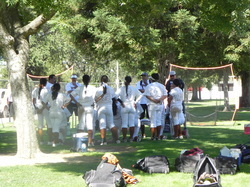 Our Dirtdogs played three games in beautiful weather at La Puenta Park. After so few practices as a full team the girls performed very well while the coaches moved players around to find the best combinations. Although the day ended with only one win the team will use these games as stepping stones to a solid season ahead. into a complete softball player, both offensively and defensively. and to contribute to her development into a successful young adult. to softball teams at the college level.